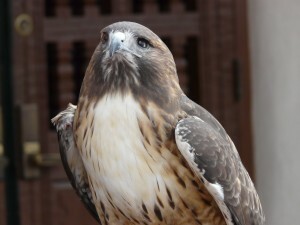 Meet our Avian Ambassadors /Hawks Aloft Inc. 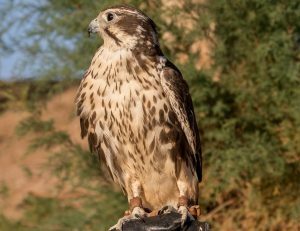 In order to promote conservation and awareness of birds of prey, Hawks Aloft houses and cares for over twenty non-releasable birds of prey. All of our education birds have a permanent disability that prevents them from surviving in the wild, such as an injured wing or vision impairment. We provide them with zoo-quality housing, a natural diet, and veterinary care so they can live in comfort. They live in specially built enclosures called mews that have been adapted to suit their disability. For example, birds that cannot fly have special ramps that allow them to reach their perches. All of our education birds are given names in order to help identify them. They are, however, wild animals and we treat them as such, never handling them with bare hands or petting them. In order to care for them we require special permits. Any individual found in possession of one of these birds who lacks proper permits faces jail time and up to a $10,000 fine. 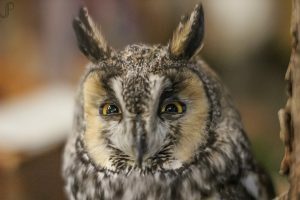 Our education birds travel around the state serving as ambassadors for the conservation and preservation of birds of prey. To find out how we can bring live raptors to your classroom or event, click here. You can help support our education birds through our Adopt-a-Raptor program. Learn more about our Avian Ambassadors below. Click the links to jump to different sections. 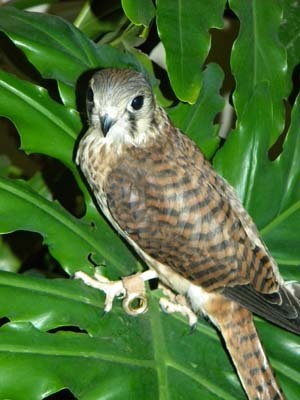 A falcon is a raptor in the genus Falco. 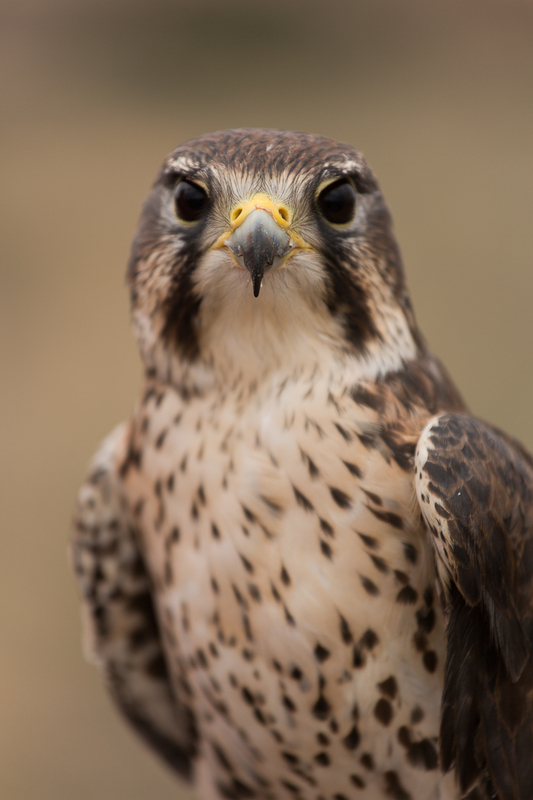 Falcons are considered the “sports cars” of the bird world and the fastest member, the Peregrine Falcon, has been clocked at speeds of over 240 mph. 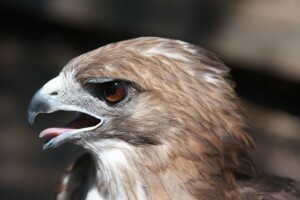 History: Clark Kent was brought to Cascades Raptor Center in Eugene, Oregon. He was transferred to Hawks Aloft in the fall of 2006. He was named Clark Kent by one of the youngest volunteers at Hawks Aloft. 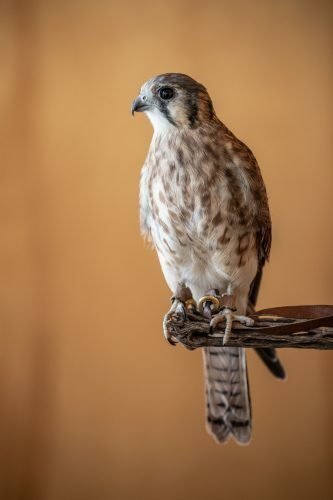 When asked why she chose the alter-ego of Superman, she replied that when she was first learning about raptors, someone told her that every morning, the boy kestrels dress in their blue Superman capes, and that’s how you can tell them from the girls. Indeed, male kestrels have blue wings while females have brown feathers with black bars on their wings. 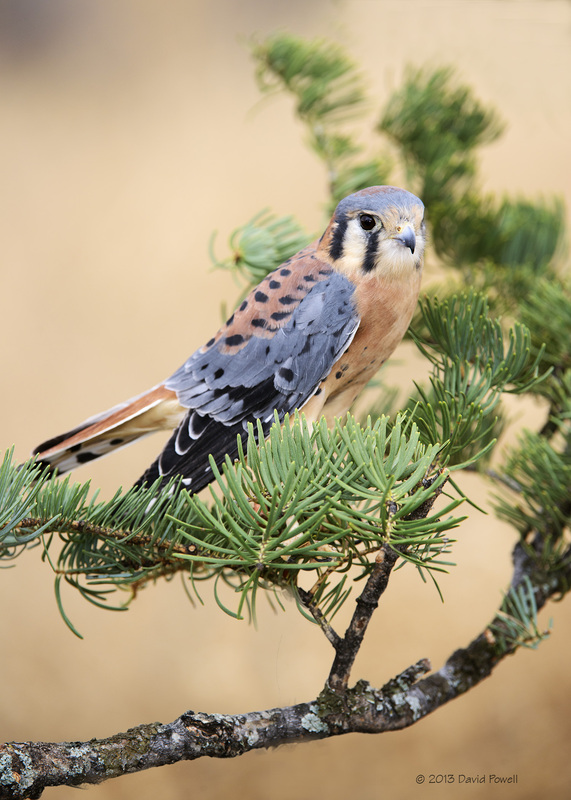 North American Kestrels are one of the few raptor species that exhibit sexual dimorphism (distinct differences between males and females). History: Miss Torrey was found near Torrey, Utah, floating in a lake on a bed of moss, 9,000 feet above sea level. We don’t know how she got there, but we do know that a brave woman waded into that chilly water and saved her. Unfortunately, Miss Torrey’s wingtip was so badly infected that it eventually sloughed off. Miss Torrey was quickly adopted by Hawks Aloft and she has been part of our team since 2010. History: Waldo came to us in the fall of 2012 from a local rehabilitator. We are unsure of his history, but it is possible that his injury was caused by a car accident. He is named after Waldo of Where’s Waldo, because he is good at hiding. 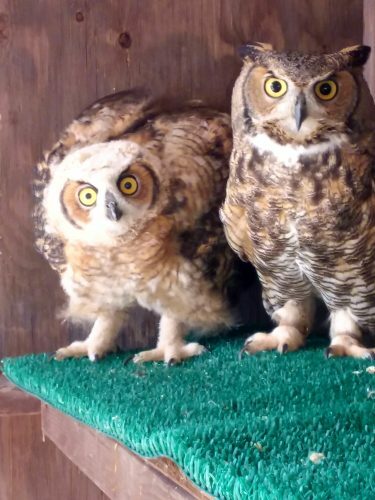 History: Tula was surrendered in July of 2018 after falling out of the nest. She didn’t suffer any long term physical injuries, but after being kept for a month in captivity she was imprinted and unable to be returned to the wild. Although an odd pair, she is now happily living alongside an imprinted Turkey Vulture, Beauty. History: Sunny came to us from southern New Mexico with a badly damaged wingtip. The wingtip was hanging from a thread and had to be amputated at the last digit. We are not sure how he was injured, but he was discovered by a pair of young hikers in the desert, one of whom was a vet tech and carried him to safety to a clinic. Disability: Malary collided with a fence which resulted in a ruptured lens in her right eye and a cataract in her left, as such, her vision is very limited. History: Malary came to Hawks Aloft as a juvenile in July of 2014. Her intake was the result of a call to our Raptor Rescue Hotline from McIntosh, NM. 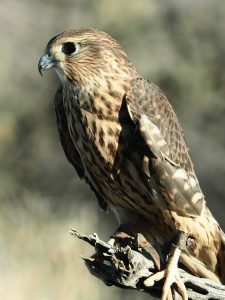 History: Lady Kiki, usually simply known as “Kiki,” came to Hawks Aloft from Second Chance for Wildlife in Price, Utah. History: Little Richard joined the Hawks Aloft team on October 17, 2014 getting his name from a subspecies of Merlin. He suffered an impact injury that left him with head trauma and a right eye injury. Although he is permanently blind in his right eye, Little Richard is still a very lively bird as he is still able to fully fly around his mew. 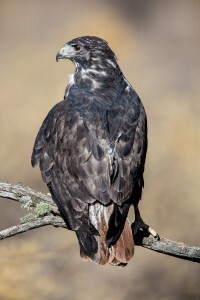 Hawks are members of the order Accipitriformes. 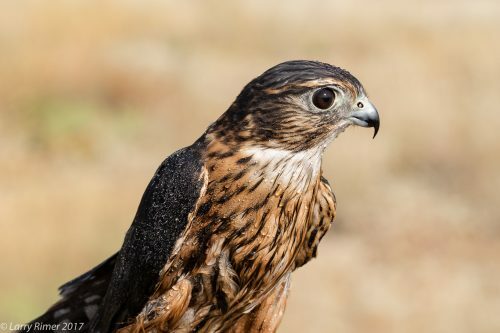 They have been named amongst the smartest of all birds of prey and are thought to have visual acuity that is several times better than humans. closed to prevent infection in her eye socket. Because of her injury, she is completely blind on the left side and has difficulty judging distances. Although she has no trouble flying, she would be unable to hunt for her own food due to her inability to judge distance. 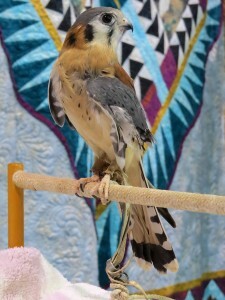 She has striking feather markings and coloration which makes her a favorite of photographers at programs. 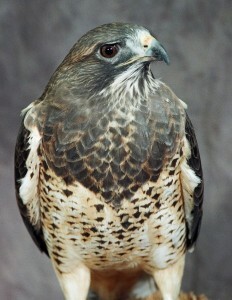 She lives with another educational bird, a male Swainson’s Hawk named Commodore. History: Commodore came to us as an adult in 2004 from a local wildlife rehabilitator. He was at least two or three years old when he broke his wing. 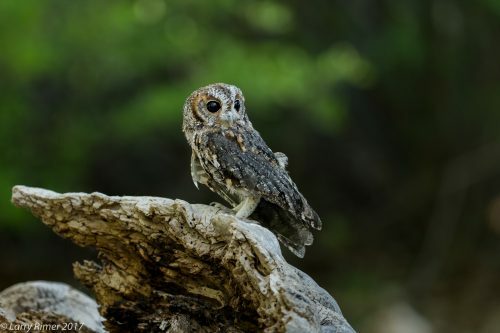 Consequently, he is wise to the ways of the world and more nervous around human predators than some of our more naive birds who came to us when they were juveniles. He lives with a female Swainson’s Hawk named Aires. History: Idaho was found near Idaho falls with significant damage to her primary and second flight feathers due to industrial chemicals. History: Jamaica came from the Los Lunas area with a gunshot in the head and damage to right wing. Her wing was amputated at the wrist and she cannot fly. She also has damage to her left eye caused by infection from the pellets lodged in her head. She may see light and some movement, but is essentially blind in that eye. In 2009 and 2010, she began laying and incubating eggs. She currently lives with another educational bird, a male Red-tailed Hawk, named Quemado. Disability: Amputated left wing at the wrist & amputated fourth toe on his right foot. History: Quemado arrived at Hawks Aloft on July 14, 1995 from Kirtland Air Force Base. The man who rescued him saw him being harassed by American Crows, fly into power lines, and then fall to the ground. After being taken to a rehabilitator, part of his left wing and the fourth toe on the right foot were removed due to damage from the electrical burns. As a result he cannot fly and needs ramps to reach his perches. His bold coloration makes him well received at programs. He is currently living with a female Red-tailed Hawk named Jamaica. 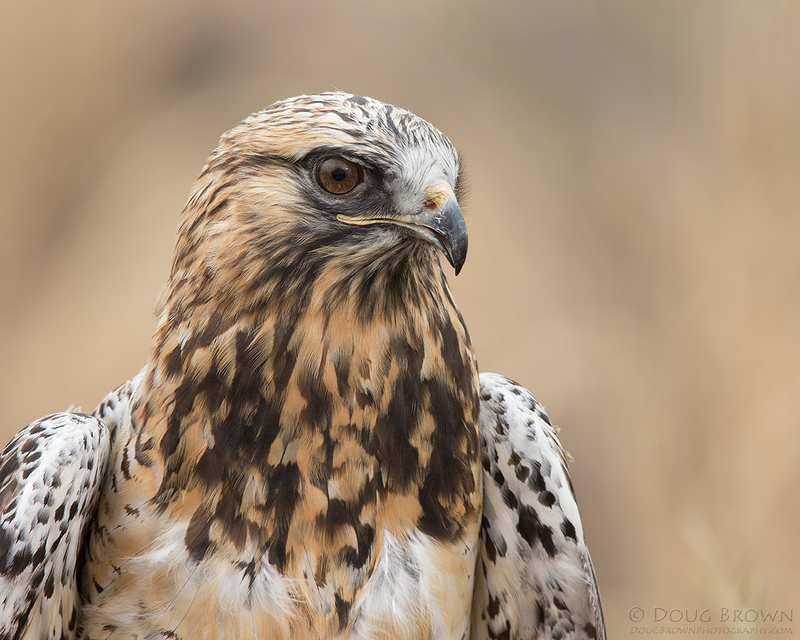 History: Aguilita is a Rufus-morph red-tail who was found as a juvenile in the backyard of a local falconer. She had suffered severe trauma to her left eye and the eye was surgically removed to avoid further complications. She has no problems flying, but would have trouble hunting prey in the wild. She lives in a large mews that allows her freedom of flight. Her name, Aguilita, comes from the Spanish word for little eagle and she earned this name for her large size. History: Harlan came to us from the Cascades Raptor Center in Eugene, Oregon. He was hit by a car which resulted in a fracture in his left wing that will not heal. He cannot fly well. Harlan’s red-tails are a relatively rare color morph in New Mexico. They are more commonly seen in the northern US and Canada. Harlan is still very uneasy around humans and only makes brief appearances at events. History: Ferrug was found on Rowe Mesa, near Glorieta, NM in the summer of 1996. He had a fractured ulna & radius in the right wing which did not heal well. The cause of his injury is unknown. He has limited flying abilities. He is an unusual species for an educational bird, and is very popular at programs. At booths, he often perches on the ground, a common behavior of Ferruginous Hawks in the wild. His large size and regal appearance makes him a wonderful educational bird although he can get nervous in front of large audiences. He is often vocal and active during presentations. 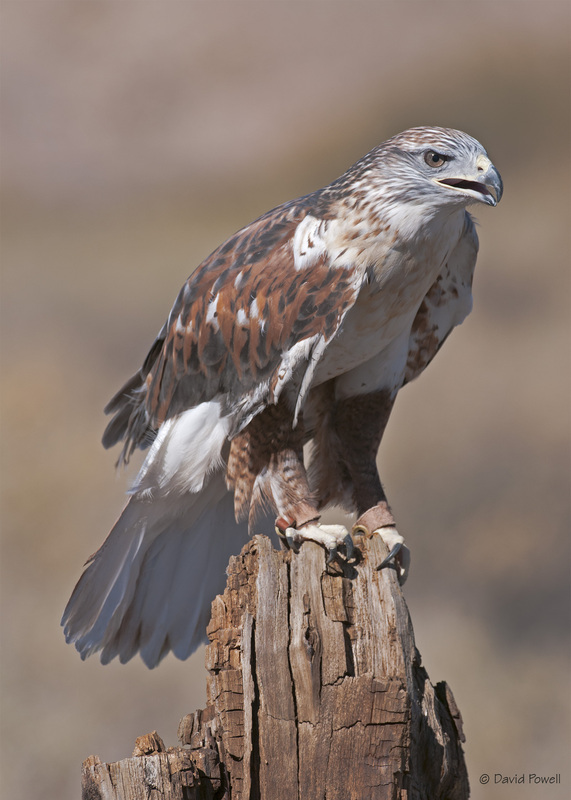 History: Cimarron was transferred to Hawks Aloft in January 2007 after being picked up in Roy, NM with little information concerning the history of his accident. Examination showed an old malunion (incomplete union) of the humeral-radial joint. While he is still flighted, he does not fly well enough to survive in the wild. His name means “Refugee of the North,” since Roughy’s are more commonly observed in more northern latitudes. 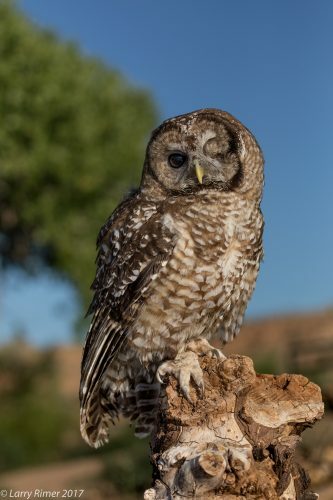 Owls are members of the order Strigiformes which includes over 200 species. While generally solitary birds, a group of owls is known as a parliament. 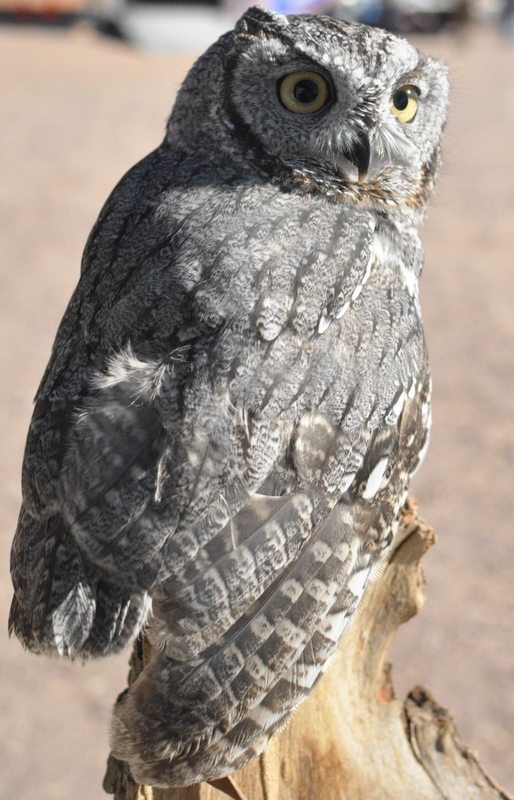 History: Shadow came to us from the Santa Fe Raptor Center. We aren’t quite sure how Shadow was injured, but he was most likely hit by a car. It is also possible that he flew into a window hard enough to injure his wing. Shadow was found in December 2012 and came to Hawks Aloft August 2013. History: Flame had his left wing severely damaged after an attack by a predator. Predators of a small owl could include fox or a domestic cat. 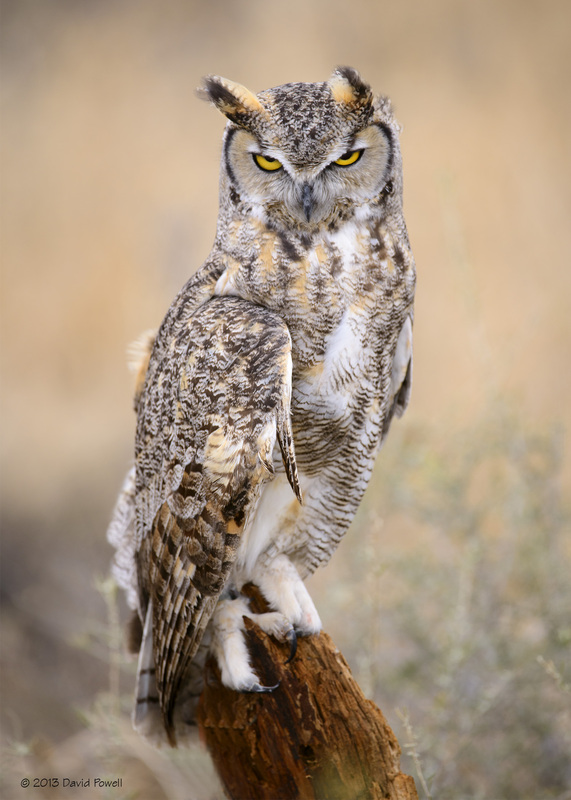 However, there are also other species, such as the Great Horned Owl, that would have inflicted similar damage if another owl came into its territory. 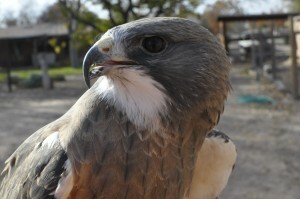 History: Terra was already an adult when we adopted him from the Espanola Wildlife Center in 2011. His eyesight is compromised due to a detached retina in one eye. Burrowing Owls make their home in underground burrows, close to their hunting grounds and the name Terra comes from the Latin word for earth or land. 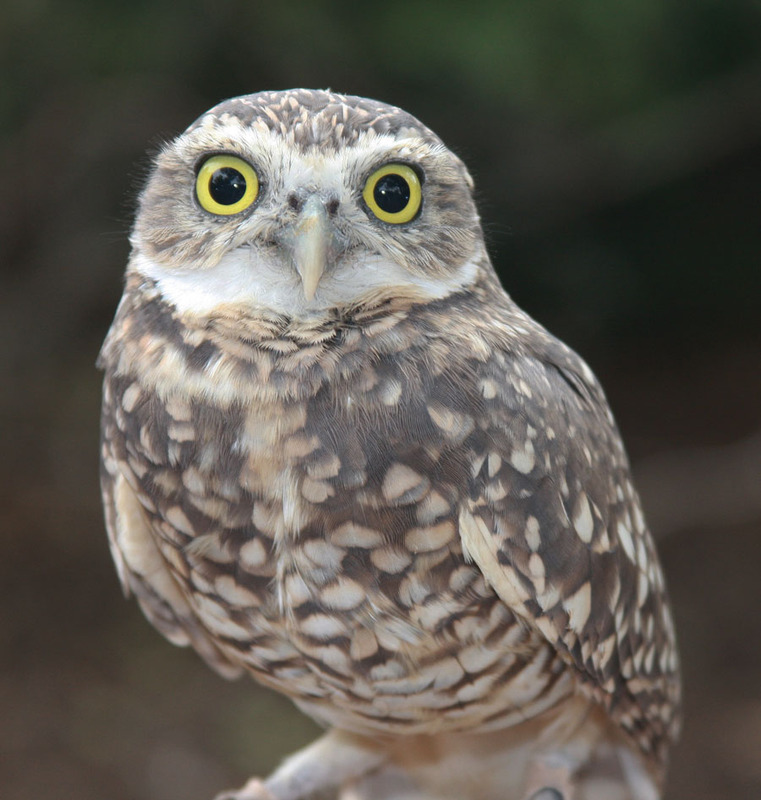 Most raptor species do not have obvious differences between males and females and Burrowing Owls are no exception. We are not sure if Terra is a girl or boy yet. We believe he is a boy due to his small size (boys are smaller than girls), but the only way to tell for sure is to wait and see if he lays an egg this spring. If that happens we will know Terra is in fact a girl. History: Aztec was found in Aztec, New Mexico with injuries that were most likely caused by a car strike. 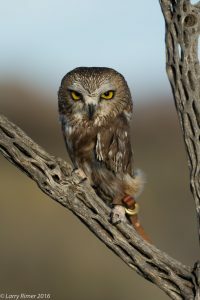 She is a very charismatic bird & frequently fosters Great-Horned owlets that come to Hawks Aloft. Her light color is a genetic trait passed down through generations and would have helped her blend in to her native habitat. 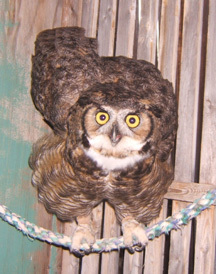 History: Bubba came to Wildlife Rescue in 2009 with a broken right wing. 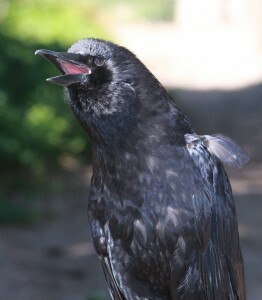 He was rehabilitated by Wildlife Rescue and was set to be released when he self-amputated his wing tip at the wrist joint, likely due to nerve damage. He was transferred to Hawks Aloft in February 2010 to live out his life as an education bird. History: Dulcita came to us from another organization in Glorieta, NM. She was hit by a car in 2013 and suffered a vestibular injury due to the impact. She is seen in this photo being a foster parent to another Great Horned Owl, teaching the younger owl as it grows. History: Jemez was found in a snow bank by an employee of Los Alamos labs on his way to work. Jemez was critically injured by a car and is now missing an eye. 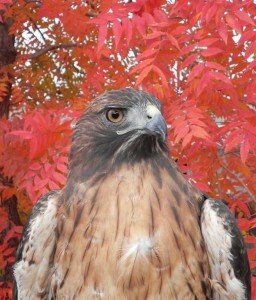 History: Cedar came to Hawks Aloft through our Raptor Rescue Program from Rio Rancho, where he was likely hit by a car. History: Celeste came to Hawks Aloft through our very own Raptor Rescue program. She was found injured in Belen, N.M., presumably after colliding with a car. 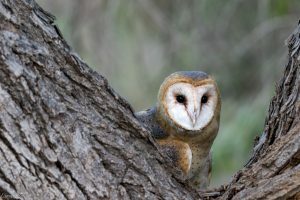 Barn owls are found worldwide–on every continent save for Antarctica. These strictly nocturnal raptors are silent in flight and can live as long as 15 years. History: Aspen came to Hawks Aloft as an adult in the winter of 2015. He was found in the East Mountains, and got his name when his rescuers perched him on an aspen branch as they ferried him to safety. Corvids are members of the Corvidae family which includes crows, ravens, rooks, jays, and magpies. They are considered to be among the most intelligent of all animals and have demonstrated both tool-making abilities and self-awareness. History: Indigo was hatched in 2007 and illegally raised by a woman in Oregon. Sadly, Indigo was fed an improper diet and confined to a small cage. As a result, she developed metabolic bone disease, has limited flying ability, and does not recognize other crows as her kin. Indigo was confiscated in 2008 and we adopted her the following spring. As part of the Cathartidae family, New World vultures are found in warm and temperate areas of the Americas. 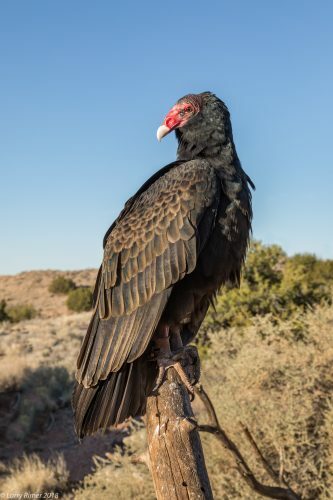 Compared to raptors, vultures have a keen sense of small and can find dead animals from quite a distance. History: Beauty was found in Corona, NM as a nestling, originally brought in with a chest injury. 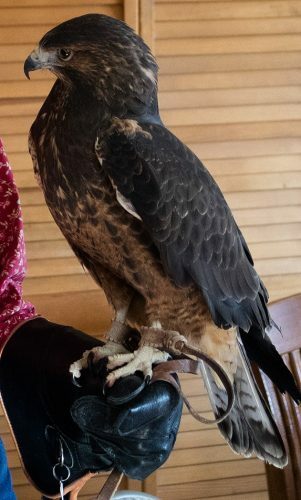 After she healed, Beauty was kept as a pet until she was confiscated in early 2018 and brought to Hawks Aloft.